This tutorial is obsolete. The tools used no longer exist. RSS (short for Really Simple Syndication) is a popular format for “feeds” of updates. 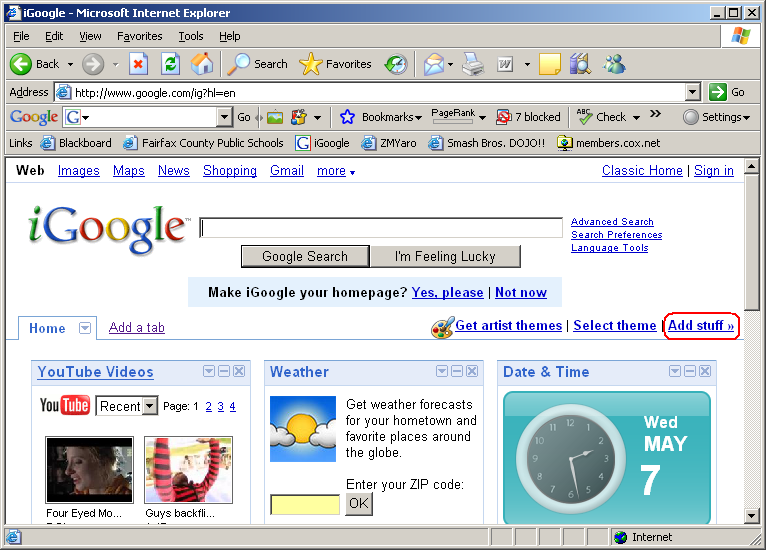 It is often used for things such as blog entries, news headlines, and podcasts. 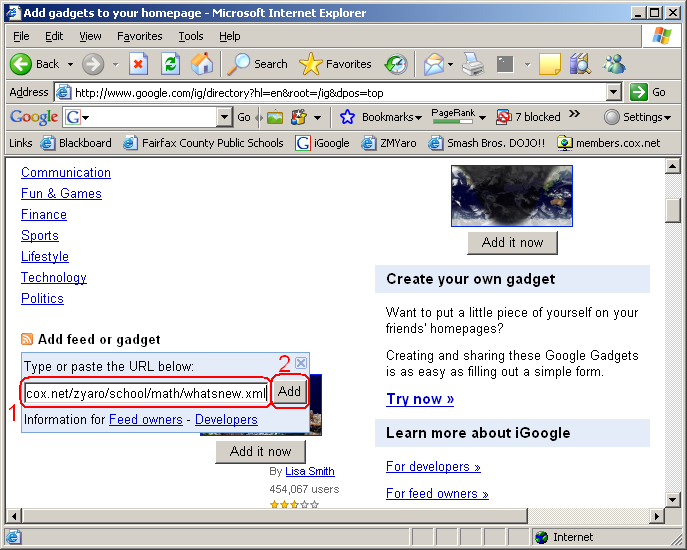 RSS feeds can be read using programs called “aggregators” (they are also sometimes called “readers”). They are convenient because they allow people to view feeds from many different sites in one place, without needing to visit all those sites separately. If you are new to the world of RSS and do not yet have a favorite aggregator, I recommend Google Reader. Just sign in with your Google Account (or create one) and then click “Browse for stuff” on the left sidebar. 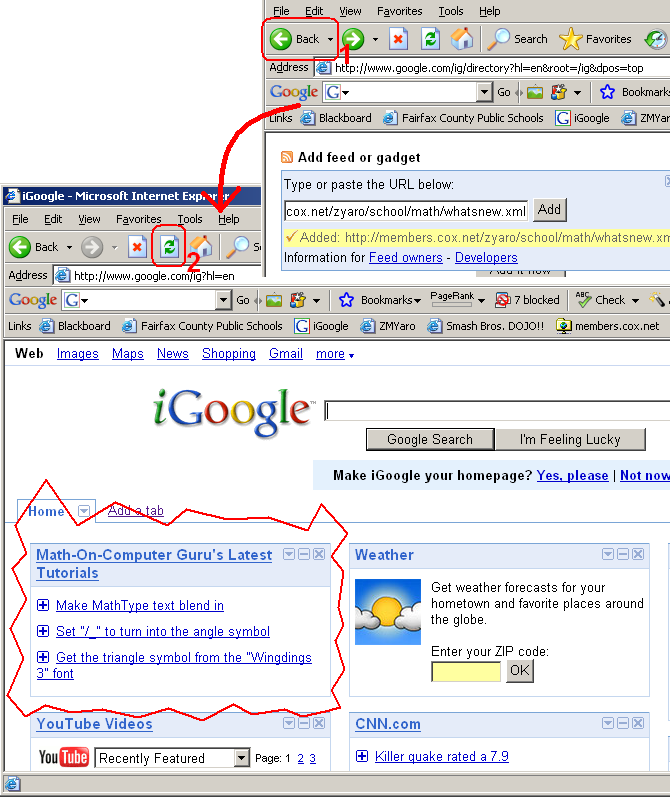 Open your iGoogle page and click "Add stuff". Click ”Add feed or gadget“ (you may need to scroll down). 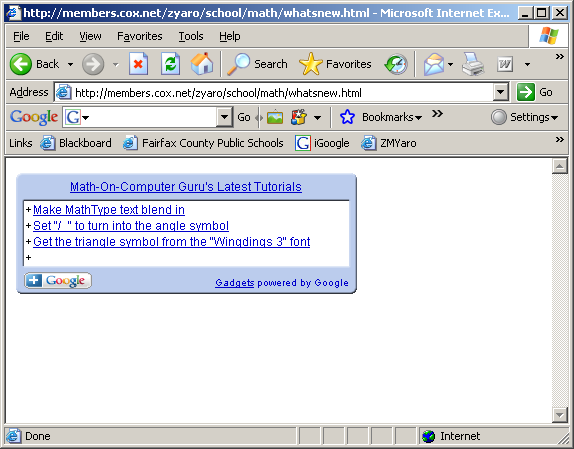 Type “http://zmyaro.com/comp/math/whatsnew.xml” (the URL of the RSS feed) in the box that appears (you may need to click in the box). Then click the “Add” button. Click “← Back” on your browser and refresh the page. The RSS feed will now be displayed on your iGoogle page in an easy-to-read form. Go to http://zmyaro.com/comp/math/whatsnew.html. 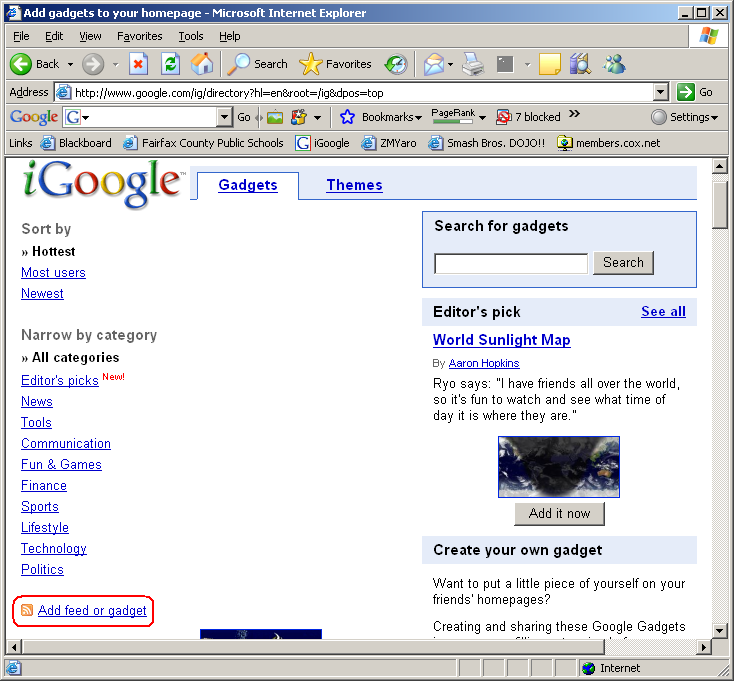 The Google gadget on the page will aggregate the RSS feed, allowing you to view it. Note: This does not work on Windows Vista. 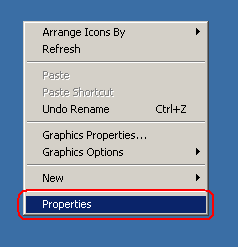 Right-click on a blank space on your desktop and click "Properties"
Note: This only works in Windows Vista. For Windows XP, please see the previous tutorial. Note: This also works in Firefox. This does NOT work in Internet Explorer 6 or earlier versions. Part of this works in Chrome, but you must first install this extension. 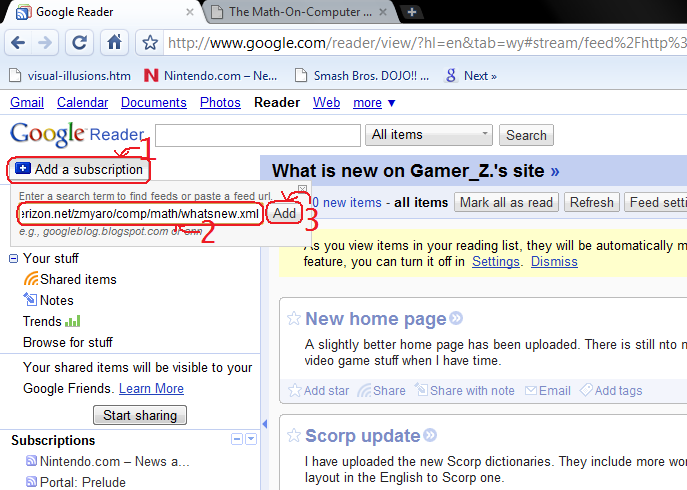 Go to your Google Reader page, click "Add a subscription", type in "http://zmyaro.com/comp/math/whatsnew.xml" (the URL of the feed), and click "Add". The feed should now be on your Google Reader list!